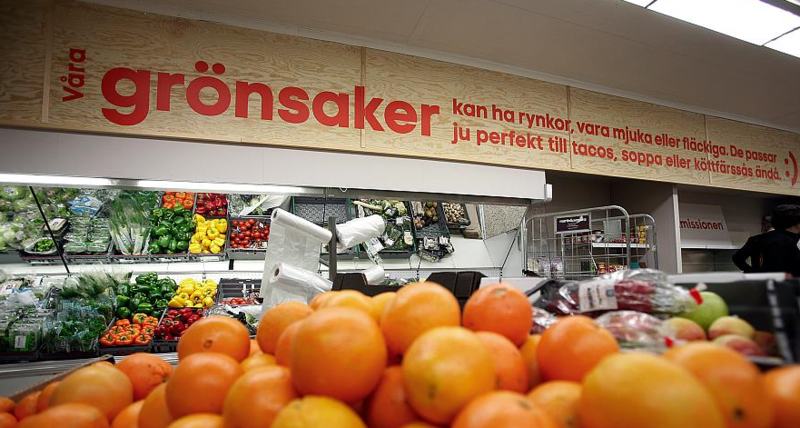 Matmissionen (The Food Mission, in Swedish) is the first social supermarket in any of the Nordic countries, and it opened in a southern suburb of Stockholm, Rågsved, in December 2015. Due to a fire the store had to shut its doors three months later. Thanks to a new premise contributed by Willys grocery store, Matmissionen could reopen in the fall of 2016, this time in a northern suburb of Stockholm, Veddesta. Axfood is a co-founder of Matmissionen, but the store is owned and operated by Stadsmissionen, a nonprofit organization. Axfoundation has supported the project from its inception. The shop is not stocked like a regular supermarket, but will sell donated surplus food from other stores. The foods in Matmissionen are near their expiration date, or for other reasons cannot be sold in regular stores. It may be due to minor injuries in the packaging or a surplus of supplies. Clearly, Matmissionen also contributes to reduced food waste. Hiring people outside the job market, Matmissionen creates opportunities for job training. The store also empowers people who are financially challenged by offering low prices that reduces economic stress. “Anyone is welcome to shop at Matmissionen, although we primarily target members who live in a precarious economic situation,” says Johan Rindevall, Executive of Matmissionen. Store membership gives up to a third or more off the regular price. Membership is granted those with income support, pension, daily allowance from the Migration Board or other type of support for the economically vulnerable. Also those who have sickness benefit, unemployment or minimum salary can become members. Axfoundation is funding a study that examines the environmental and social impact of Matmissionen. The aim is to obtain a basis for future expansion. The goal is for Matmissionen to open in several locations in Sweden.